Empowering IT industry leaders through cloud technology. 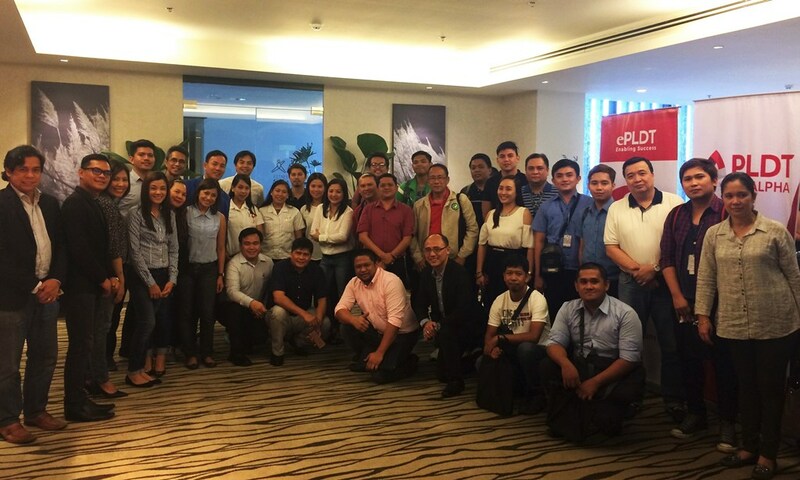 IT experts in South Luzon attend ePLDT, Inc.’s ‘Reinventing Productivity in the New World of Work’ event held recently at the Seda Hotel in Nuvali, Sta. Rosa, Laguna. In partnership with Microsoft Philippines and PLDT ALPHA, the cloud productivity event aims to raise awareness on how business leaders can make insight-driven decisions with the help of technology. Every day, new information is created, circulated and collected within an organization. With the daily influx of massive information, efficient data management becomes a primary concern for most employees. With this, ePLDT—in partnership with Microsoft Philippines and PLDT ALPHA—recently brought its ‘Reinventing Productivity in the New World of Work’ event to IT experts in South Luzon at the Seda Hotel in Nuvali, Sta. Rosa, Laguna. The event aims to empower thought leaders in the South to be more aware of the New World of Work—how businesses and business leaders can make insight-driven decisions with the help of technology. Benedicto Perez, PLDT Corporate Relationship Management Head, discussed the vital roles played by the latest business collaborating tools in enabling better collaboration to improve customer experience. “We can help your organization enable better collaboration and foster insightful discussions through effective productivity tools. In today’s enterprise digital ecosystem, it is imperative that your business adopts and reacts via relevant technology,” said Perez. According to Chet Alviz, Head of SMACS (Social, Mobile, Analytics, Cloud and Security), events such as these are vital in helping enterprise clients utilize digital resources to help get their job done in a more synergized manner. “We are now living in the age of the ‘mobile-first’ consumer; where the customer’s experience of any product or service defines success or failure of a venture. In order to reach these mobile first consumers, digital tech adoption is key --- and collaboration is vital”, adds Alviz. The event was joined in by key technology experts from Microsoft Philippines including Tovia Va’aelua, Innovative Enterprises Lead, and Mae Moreno, Cloud Solutions Lead, to demonstrate how to utilize the cloud in enhancing customer experiences and how to thrive in the New World of Work. Furthermore, Miguel Gonzalez of PLDT discussed the advantages of outsourcing IT services to businesses in different industries, particularly tapping ePLDT’s VITRO data centers for colocation. The Microsoft team also highlighted its Microsoft Office 365, a top-of-the-line set of cloud-based productivity tools that improves collaboration—from e-mail and IM to social networking and video conferencing. ePLDT, Inc. is the leading Microsoft Cloud Solutions Provider in the Philippines and the 6th in Asia Pacific. It is home to more than 70 Microsoft-certified professionals who work with different industry leaders to reshape their business.